Haven of home overlooking valley on almost 22 full acres, including 5 acres of fenced, irrigated pasture land. 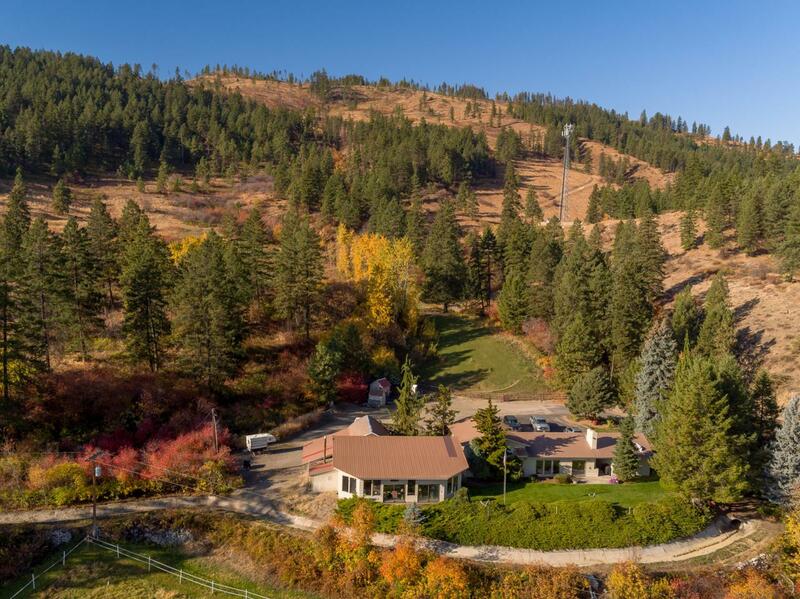 Amidst mature trees and wildlife, this 2,300 sq ft home sparkles on morning sun hillside. Living room features stone fireplace with exposed wooden beams throughout living, dining, and kitchen rooms. Separate breakfast bar seating as well as formal dining area. All bedrooms upstairs with two full bathrooms. Basement provides bonus space for storage as well as room for office or den. Gigantic detached garage, loft and shop with tons of room for vehicles, and the ideal work space. Large bonus game room off garage with interior cedar strip walls and lots of windows; perfect place to relax and entertain. Ideal location for horses and riding on 3 parcels with stunning valley views! Listing provided courtesy of Nick Mclean of Nick Mclean Real Estate Group.